LAST GREAT DREAMERS UNVEIL NEW ALBUM! 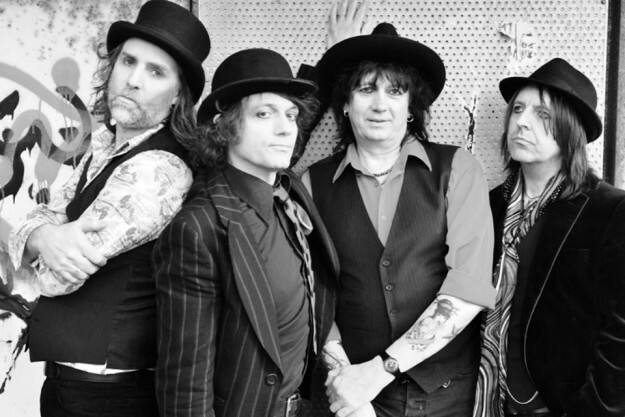 Rejuvenated rockers LAST GREAT DREAMERS have finally announced the release of their long-awaited new album, and a full tour to go with it. Their first all new album since 1994’s critically lauded debut, Retrosexual, the 14-song Transmissions From Oblivion was recorded at Foel Studios in North Wales with producer Tony Harris and features recent addition, bassist Steve Fielding, formerly with THE STIFFS and THE BOYS. Funded by Pledgemusic and set for release on 30 September through their own Ray Records, it’s available to pre-order here. Last Great Dreamers join DOGS D’AMOUR frontman TYLA J PALLAS at the Degeneration Festival on aid of the CJD Support Network charity at The Salutation, Nottingham on Saturday 27 August. Tickets are available here. They then embark on a full tour, including a special Some Weird Sin night in London on the day of the album’s release. Full dates are…. ‹ COLIN NEWMAN SOLO ALBUMS REISSUED!